Earlier this week, I wrote about two exciting wines from Mexico that I tasted at The Painted Burro, a Mexican restaurant in Davis Square, Somerville. On the same day of my post, I received an email about a tasting of two more Mexican wines which was taking place that day at Pairings, a wine store in Winchester. So I had to attend the tasting, to see what else Mexico has to offer. The two Mexican wines at Pairings were also from the L.A. Cetto Winery, which is one of the only Mexican producers currently available in Massachusetts. You can check my prior post for some basic information about the winery. The latest issue of Saveur (Agu/Sept 2012) is their Mexico issue and there is a brief article on wines from the Baja region. It notes that in 1524, Hernan Cortes, planted grape vines, making Mexico the oldest wine region in the Americas. At Pairings, they poured two wines, a Chardonnay and a Petite Sirah, both priced at $10.99, though the Petite Sirah is on sale through the rest of September for only $8.79. The 2010 L.A. Cetto Chardonnay is produced from 100% Chardonnay, has an alcohol content of 12.5%, and does not see any aging in oak. With a light golden color, its pleasant aroma of tropical fruits and citrus will entice. On the palate, it is crisp and clean, with delicious flavors of apple, pear, lemon & guava, with a touch of minerality. An easy drinking wine, this has good complexity for its price point and definitely is recommended for an unoaked Chardonnay. Drink it with some seafood or a light chicken dish. The 2009 L.A. Cetto Petite Sirah is produced from 100% Petite Sirah, has an alcohol content of 14.5%, and spends about 6 months in French oak. This wine had a medium red color, not opaque like many other Petite Sirah wines I have taste previously. On the nose, alluring black cherry and floral elements dominate. It is a big wine in your mouth and the tannins are strong, but there is good restraint as well. It won't overwhelm you, but instead will please your palate with its delicious black fruits, spicy notes and hints of floral elements, as well as its fairly long and satisfying finish. A hearty wine, this would go well with hearty dishes, from pasta to beef. It also gets my recommendation. I also want to give you two more reasons to check out Pairings. First, they are still carrying at least a dozen Rosé wines, including the superb 2000 Lopez de Heredia Rosado ($31.99). I don't know how long they will last, but this is a great time to stock up on Rosé for the winter as it is a great food wine year round. Second, they also currently carry the Estenas P.G. Bobal ($13.99), a great wine at that price point which is sure to end up on my year-end Favorites list. Grab it and you won't be disappointed. 1) Having Blue Heron Farm, an organic garden, less than a mile away guarantees that Aka Bistro's fall menu is loaded with fresh flavors and healthfulness. Diners are encouraged to try these new early fall French menu offerings at Aka Bistro. Fall will come to the Japanese side of the menu shortly so sashimi-lovers please stand by. 2) On Thursday, October 11, at 6:30pm, Legal Sea Foods’ Vice President of Beverage Operations and Master of Wine, Sandy Block, will host the Fall Harvest Wine Dinner at Legal Harborside. This four-plus-course culinary adventure will highlight the best tastes of the season paired with some of Block’s favorite wines. 3) Oyster season is in full swing and Woodward at AMES has you covered when it comes to this seafood delicacy. Begining September 26th, guests can enjoy a new $1 Oyster special available Wednesdays beginning at 5pm. The deep-sea delights will be served platter-style and will come accompanied by horseradish, cocktail sauce and mignonette for dipping. This special will be offered until the raw bar’s stock runs dry. Woodward also offers a selection of craft cocktails for pairing with your oyster ensemble like: Where There’s Smoke (Fidencio Joven Mezcal, Domaine de Canton, lime juice, agave nectar and habanero shrub-$12); AMES Sidecar (Hennessy VS, Tuaca liqueur, lemon and orange juice-$14); the Egg White Margarita (Milagro tequila, cointreau, agave nectar, lime juice, egg white and grapefruit bitters-$12); and, the One Court (Ron Zacapa 23 year-old rum, honey syrup and fresh lime-$12). 4) At Salvatore’s with 2 downtown Boston locations and restaurants in Medford and Lawrence, Executive Chef Victor Paone is taking an ordinary slice of pizza to an intoxicating level. Literally. Salvatore’s is now offering a brand new 21+ pizza menu featuring three authentic pizzas with an alcohol content. The adult selection includes: the Vignola Cherry Pizza, dried Italian cherries soaked in raspberry vodka with fresh mozzarella, gorgonzola, prosciutto and orange blossom honey; the Drunken Pig, Kahlua marinated braised pork, ricotta cheese, caramelized Granny Smith apples, mozzarella cheese and spicy hot honey; and last but not least, the Calabria Peach, rum infused fresh peaches, mascarpone, soppressata picante, fresh mozzarella and basil. The 21+ pizza menu is available at all four locations and all (3) pizzas are available in 12” for $16 or 19” for $24. 5) On October 26, wine lovers worldwide will raise a flute to that quintessential wine of celebration, good cheer, and toasts everywhere: Champagne. Champagne Day encourages the celebration of this truly unique that can only come from the Champagne region in France. Consumers from around the world are encouraged to participate in the celebration of this authentic wine and raise awareness about the need to protect the Champagne name. Participating is easy. Consumers can join Champagne Day online by blogging, tweeting, posting and sharing their thoughts about this exceptional wine by using the #ChampagneDay hashtag. Or, they can host or join one of the numerous retail and restaurant tastings that are being planned in locations across the United States. To stay up-to-date on the most current news regarding Champagne Day or to register an event, visit http://bit.ly/N3Xpw5. 2) Post the picture including the authentic Champagne label to your Facebook profile and tag yourself and the Champagne Bureau in the picture. One Grand Prize-winner will be selected randomly on October 23 and receive a new iPad. The winner will be announced on October 26, Champagne Day. Complete contest rules are available at http://bit.ly/UmVXfY. Contest entrants may submit multiple entries to increase their chances of winning. All entries must be unique, as duplicate entries will not be considered. Raise an ochoko of Sake, say Kanpai and toast the 35th annual Sake Day on October 1. Sake Day ("Nihonshu no Hi") originated thirty-five years ago, in 1978, by a declaration of the Japan Saké Brewers Association. It is celebrated worldwide, though celebrations in many areas are still too sparse. Grape days, such as Cabernet Day or Chardonnay Day, which have only been around for a couple years, get far more publicity. But then they are often mainly driven by marketers. In addition, there is often very little reason why a Grape Day occurs on a particular date. In comparison, there are good reasons why Sake Day was selected to be October 1. First, the Chinese character for Saké (酒) is very similar to the Chinese zodiac sign for the Rooster (酉), the tenth sign, and October is the tenth month. Second, October is also traditionally the start of the Sake brewing season, which generally lasts into April. This year, October 1 comes on a Monday, but feel free to celebrate the weekend before. If you do not attend a local Sake event, why not drink a bottle of two of Sake at home. Or set up your own tasting party with a group of friends. When drinking Sake, the traditional toast is "Kanpai," which is equivalent to “cheers” though it literally translates as "empty or dry cup." Its basic meaning though is a social one, "Let us drain our cups in friendship." Now isn't that a great thought? If you want more information about Sake, I have over 200 articles on Sake on my blog, including educational articles and reviews. Many of those posts have been collected and listed on Passionate Sake. I also provide lists of other Sake resources for additional reading. If you are worried about what foods to pair with Sake, check out my post The Science of Sake & Food Pairings. You'll learn that Sake is very food friendly, and there is a Sake to pair well with just about any type of food, from cheese to BBQ, from burgers to pizza. If you want some advice on which Sake to buy at your local wine store, please email me a picture of the Sake selection at the local shop, or send me a written list of the bottles they carry. I'll then give you suggestions based on what is available to you. Though I can provide plenty of Sake recommendations, they might not be available to you. So sending me a picture or list best allows me to customize the recommendations based on what you can buy. (Updated as of 9/27): What am I doing for Sake Day? On October 1, from 4pm-7pm, I will be pouring Sake at Thelonious Monkfish in Central Square, Cambridge. This is a restaurant that specializes in Sushi, Japanese & Thai food and their tagline is "Jazz for the Palate because we love to jam on Asian culinary themes." This will be a public event and everyone is welcome to come and taste some excellent Sake, good food, and learn about Sake. I will be pouring six different Sakes, including: Murai Family Tokubetsu Honjozo, Manabito Kimoto Junmai Ginjo, Yuki No Bosha Junmai Ginjo, Wakatake Junmai Ginjo, Moon Rabbit Sparkling Sake and Momokawa Organic Nigori. Appetizers will be served, including: Handmade Chive Potstickers, Handmade Shrimp Potstickers, Spicy Tuna on Crispy Rice, and Yum Fruit Salad. The cost of this event is only $25, which includes tastes of all 6 Sakes plus appetizers. This will be a fun and tasty way to celebrate Sake Day so I hope to see you there. I am also working at Beacon Hill Wine & Gourmet in Melrose this weekend, on Saturday from 3pm-7pm and Sunday from 12pm-7pm. Come by and let me help you select one of the Sakes we carry, and there might even be a Sake tasting too. There is another way to celebrate Sake Day which would also make me very happy. You could buy one or more of my Tipsy Sensei stories, which are about a Sake expert in Boston who learns that legendary creatures out of Japanese folklore are real. I have three stories currently available, including: Yurine's Pot, The Ghost of a Ninja, and The Fox & The Katana. All of stories have received very good reviews and if you own a computer, you can read the stories through the free Kindle Apps. You do NOT need an actual Kindle to read this stories. I am also currently working on Tipsy Sensei #4, titled Demons, Gods & Sake, and it will be a full length novel. Progress is going very well and it is possible that the novel could be published before the end of the year. And there will be more stories in this series to come. So raise a glass or two (or more) of Sake and celebrate the 35th annual Sake Day! If you have something planned for Sake Day, please tell me in the comments what you will be doing. This past Sunday, I returned to The Painted Burro, in Somerville, with the Boston Brunchers to check out the Burro's Brunch menu. I reviewed the Burro last week, after dining there on two nights, and now can provide an update after my brunch experience. In short, brunch was delicious and very reasonably priced, well worth checking out on Sundays. In the photo above, you can see panels on the walls and this is the soundproofing I discussed in my prior review. During brunch, the sound levels were very manageable and there was no difficulty in talking to anyone at our table. The sound proofing seems to be doing its job. In time, some of those panels will be painted with murals. They already blend in very well, but will look very cool once painted. The Brunch Menu includes the same Appetizers and Tacos as on the Dinner menu. The Entrees are mostly different, with about ten options, and includes the Yucatan Meatloaf and the Mexican Loco Dog from the dinner menu. Nearly all the Brunch Entrees are priced $8-$10, and considering the quantity and quality of the dishes, they present an excellent value. You'll find dishes such as Chipotle Chocolate Chip Pancakes and Thick Cut French Toast, as well as items such as the Sunshine Burrito and Huevos Rancheros. The Goat Empanadas. Again, a delicious choice with a compelling roasted red pepper & tomato-chipotle salsa. The Fundido with Chorizo. Who wouldn't like all that cheesy goodness with plenty of spicy chorizo? This is one of my favorite appetizers. Despite all of the other choices, I had to order the Yucatan Meatloaf again, to ensure the first time wasn't a fluke. And it was as amazing as the last time, with that great spicy red mole sauce and the flavorful meatloaf, with its intriguing blend of tastes and textures. It is a hearty dish, great for brunch or dinner, and gets my highest recommendation once again. Kudos to Chef Bua! I think this was the Huevos Rancheros ($9), with 2 fried eggs, roasted corn, queso anejo, charro beans, salsa ranchero de la casa, and crispy tortillas. A variety of different entrees were on the table, and everyone was very happy with all the food they sampled. Plus, everyone was quite pleased with the large portion sizes. The Vaquero Hash ($10) comes with 2 fried eggs, braised pork, roast potato, kale, nopales, poblano rajas, and chipotle mayo. Another dish that pleased everyone. You won't go wrong with any brunch entree. All of the brunchers I spoke to seemed very delighted with all of the food. One of my objectives at brunch was to try the two Mexican wines on their wine list. As far as I am aware, they are the only Boston area restaurant that carries Mexican wines. (If anyone knows of another, I would love to hear about it.) Both of the wines are from the L.A. Cetto winery in the Valle de Guadalupe in the state of Baja California in Mexico. In the 19th century, there was a Catholic mission here which produced wine but the Mexican government eventually stripped the Church of all its lands. About 30 years later, a private company bought the land and established the first large scale winery in Mexico. In 1928, Don Angelo Cetto began trying to establish a wine industry in the region, and eventually, the L.A. Cetto winery was founded in 1975. They now produce a wide variety of wines, including sparkling and fortified wines. At the Burro, they carry the 2006 L.A. Cetto Reserva Privada Nebbiolo and the 2009 L.A. Cetto Chenin Blanc and I highly recommend both of them. The 2006 Nebbiolo is made from 100% Nebbiolo, the Italian grape which is well known for producing Barolo and Barbaresco. It spends about 14 months in French oak, and then two years in the bottle. This wine is a deep, dark red (almost purple) in color with a compelling nose of black fruits with hints of cherry. On the palate, the dark fruit flavors are prominent with a backbone of cherry and mild spice. The tannins are well integrated and it has a moderately long finish. It certainly reminded me of an Italian wine and I never would have guessed it was from Mexico. At retail, it would run around $20 and I think it is well worth the price. It would pair best with a hearty dish, such as pasta or a meatloaf. The 2009 Chenin Blanc is made from 100% Chenin Blanc, sees no oak and only has an alcohol content of 12%. This was crisp and fresh, with delicious fruit flavors of melon, pear and peach and hints of herbs on the finish. I had a second glass of this wine as I enjoyed it so much. A great summer wine, or something with lighter dishes, such as chicken or seafood. It was easy drinking and pleasant, and at a retail price of $8-$12, it would also be a good value wine. Once again, you would not think it was from Mexico. These two wines make me want to check out far more Mexican wines, and I strongly urge all of my readers to taste Mexican wines if you get the opportunity. For dessert, I tasted the Chipotle Chocolate Ice Cream, a creamy and tasty treat with a spicy finish from the Chipotle, and a flavor that reminded me of cinnamon. I also tried another savory Popsicle, this time the flavor being Corn. Yes, it had a strong corn flavor and it was much more savory than sweet. A very unique dessert. Once again, The Painted Burro satisfied and I strongly recommend you visit for dinner or brunch. From Fundido to Meatloaf, Tequila to Mexican wine, there is plenty to please all palates and tastes. Muchas Gracias to Chef Cassinelli and Chef Bua! "I'd rather that wine writers tried to deepen people's love of wine,..."
Wine writers can easily provide sterile reviews of wines, maybe giving out a point score, letter grade or similar ranking. If a reader trusts your judgment, then they might select a wine based on your recommendation. The Wine Advocate is a prime example of that form of sterile reviewing, and they are successful in getting plenty of people to buy wine. There are wine blogs which do the same thing, providing sterile reviews which seem to sell wine. I have been guilty of such at times as well. Employees at a wine store can do something similar. They can tell customers how many points a wine scored, or they can recite a cold list of wine descriptors. That will certainly lead to some wine sales. But is it the best way to sell wine? Something is missing in both of these situations: Passion. Your words may help to sell a wine, but you are not imbuing a passion for wine into a consumer. You are treating wine as a mere commodity, and making consumers treat it as one as well. You are not lighting a fire of excitement within consumers, not getting them to fall deeper in love with wine. And that is what is needed, getting more consumers not only to drink specific wines, but to get passionate about it, to embrace its diversity, beauty, and mystery. Writers and wine store employees certainly have the right to continue as they have been doing, and there will always be an audience for their sterile reviews. But there is another way, which I believe is much more fulfilling. Why do you write about wine? Why do you work in a wine store? Is it only to sell wine? Or do you do it because you have a passion for wine? I suspect most people will answer that they possess that passion, that it is the primary motivation for their actions. But if that is true, then why don't you try to share your passion with others, rather than just try to sell wine? It is not as easy to judge your readers' reactions to your writings, but you can see the proof if you work in a wine store. When you offer a wine recommendation with passion, rather than points, you see a clear difference in the eyes of the consumer. Their eyes take on the spark of passion that is found within your own. They are no longer buying just a commodity, but they have found an experience, an emotional connection which will last far longer than that bottle of wine. They get excited to buy wine, desirous of tasting different ones. I recently rhapsodized about a Portuguese wine to a customer, and another customer, who was standing nearby heard me and just had to buy a bottle too. Though I was not speaking directly to her, my passion for the wine still ignited a spark within her. That is so much more satisfying than having a customer buy a bottle just because I tell them a wine scored 95 points from Robert Parker. Spreading that passion should drive us in our writing as well as if we work at a wine store. Think back to your own wine mentors and friends. I bet those who most inspired you were those who shared their passion for wine with you. If all they did was provide you wine scores, I very much doubt they would have become significant inspirations for you. So infuse life into your writing and your words, and let your passion spark a wildfire in others. 1) On October 4, Team IMPACT will introduce its inaugural signature fundraising event: Game Day Gala. At this charitable fete, Team IMPACT will celebrate with its cherished benefactors by hosting an upscale tailgating and sporting event experience. The evening’s roster includes event co-chairs – and Team IMPACT founding members – Jay Calnan (Chief Executive Officer, J. Calnan & Associates) and Dan Kraft (Executive Vice President, The Kraft Group) who will join forces with ESPN’s popular football reporter, Wendi Nix, in this night-with-a-cause that benefits the organization’s mission to pair children who are facing adverse health issues with vibrant, team-based collegiate support networks. At this event, Team IMPACT hopes to continue to raise awareness while establishing a sense of community by encouraging a wide range of team-based organizations to open up their ranks and extend their laughter, strength and support for children in the New England area. At the Game Day Gala, supporters will relive their fond “Homecoming” memories in a room bedecked with sports jerseys from Team IMPACT’s participating schools and special guest appearances by their respective spirited mascots. To kickoff the ceremony in true game day fashion, a Team IMPACT participant will sing the National Anthem. As inspiring and uplifting visuals play of the wonderful children the organization rallies for, guests will indulge in gourmet tailgate-inspired treats and sips as well as a sit-down dinner. The Game Day Gala will also feature unparalleled live and silent auctions. The first annual Game Day Gala takes place on Thursday, October 4, at The Westin Boston Waterfront located at 425 Summer Street in Boston. A cocktail reception will begin at 6:30pm with the main event starting at 7:30pm. To reserve tickets ($500 per person) or a table ($2,500 - $5,000), please visit: www.goteamimpact.org. For reservations, please call 617-822-1918. 3) The taco might be the most ubiquitous of Mexican dishes, but it is prepared differently in each region of the county depending on its particular environment and the available ingredients. Inspired by a recent trip to Mexico where he explored the culture and cuisines of Mexico, Chef Erwin Ramos of the Olé Restaurant Group is bringing guests on an authentic Mexican “Tour de Taco” with a special menu in honor of National Taco Day on Thursday, October 4. Ramos will offer guests tacos filled with ingredients like shrimp, steak, pork and peppers from Baja California all the way to Yucatan, bringing the meaning of cooking “paleo,” or local, to a whole new level. Guests are invited to choose four tacos from a selection of seven Mexican regional favorites along with a side of Mexican rice, cilantro rice, beans or plantains for just $18 per person at Olé Mexican Grill, located in Cambridge, and Zόcalo Cocina Mexicana, located in Boston. Cost: $18 per person plus tax and gratuity for four tacos and a side of side of Mexican rice, cilantro rice, beans or plantains. Served in conjunction with the regular menu. Reservations are recommended. Please call Olé Mexican Grill at (617)-492-4495 or Zócalo Cocina Mexicana at (617)-456-7849. Beer-battered shrimp taco with pickled cabbage, cilantro pesto, chipotle aioli and toasted black sesame seeds on hand-made corn tortilla. Soft flour tortillas with grilled marinated steak, poblano peppers and onions. Topped with jack cheese, cilantro, salsa verde and chipotle salsa. Veracruz style sherred fish cooked with chile color broth. Topped with chipotle aioli and lime. Braised pork, guacamole, pickled jalapenos, red onions and cilantro on soft corn tortillas. Roasted and sliced poblano peppers with cream. Topped with jack cheese. Oaxaca’s vegetable stew with potatoes, carrots, squash, red onions, poblano peppers and pickled cactus simmered in pumpkin seed sauce. Traditional Mexican slow-roasted pork dish with achiote. Topped with pickled red onions, habanero and guacamole. 4) 2012 Grammy Award Winner Tedeschi Trucks Band will headline the 2012 Hoedown V on September 29, helping to raise funds to benefit Lovelane Special Needs Horse Riding Program, a therapeutic horseback riding program in Lincoln. The biennial event is the premiere fundraiser for the Lovelane program. This year’s theme is “Get Your Kicks on Route 66.” Hoedown V will also include a live set from the James Montgomery Band. Guests are encouraged to dust off their cowboy boots and dress casually for a night of dancing, eating and mingling, all to benefit the children with special needs who participate in Lovelane’s therapeutic riding program. Many of Boston’s chefs have already signed on to participate in the event, including Marc Orfaly of Pigalle, Mark Goldberg of PARK, Rodney Murillo of Davio’s, Dave Becker of Sweet Basil, Christopher Coombs of Deuxave, Peter Davis of Henrietta’s Table, Courtney Forrester of Sweet, Andy Husbands of Tremont 647, Phyllis Kaplowitz of Baker’s Best Catering, William Kovel of Catalyst, Geoff Janowski of Blue Ribbon BAR-B-Q, Sam Mason of Oddfellows Ice Cream Co., Seth and Angela Raynor of Boarding House, The Pearl and Corazon del Mar, Jeremy Sewall of Island Creek Oyster Bar and Paul Sussman of Back Deck. As a special treat, Island Creek Oyster Farm will be on hand to offer a Raw Bar and Wiches of Boston will be producing ‘Adult’ milkshakes. For over twenty years Lovelane has been providing therapeutic horseback riding to children with special needs. Located in Lincoln, Lovelane currently has 13 specially trained riding instructors and provides more than 4,400 individual therapeutic riding sessions a year to children and young adults. Lovelane allows children with special needs to experience a sense of freedom that is often missing from their daily routine. By combining the therapy, confidence and enjoyment that students gain from their therapeutic riding, Lovelane becomes more than a therapy program as it truly does improve the quality of the child’s life and increases the child’s self-esteem. Therapeutic horseback riding is a proven, yet costly, form of therapy. Each individual lesson at Lovelane is subsidized by the organization, and more than 40% of the families in the Lovelane program receive tuition assistance so their children may continue to ride on a regular basis. Funds raised by the Hoedown and other special events support the cost of the program and enable the organization to continue to offer this assistance. With a waiting list for lessons between 1-5 years, Lovelane is a successful and well-respected non-profit organization that is focused on providing therapeutic services that dramatically impact the physical, cognitive and social development of the children in the program. For more information on Lovelane Special Needs Horseback Riding Program or to purchase tickets to Hoedown V, visit www.lovelane.org. 5) On Sunday, October 28, Lovin’ Spoonfuls, will host the second annual Ultimate Tailgate Party overlooking Boston’s scenic waterfront at Sam’s at Louis Boston. The annual event, hosted by Esti & Drew Parsons, co-owners of Sam’s and emceed by Jenny Johnson of NECN’s “TV Diner,” features 12 of Boston’s “MVP” chefs cooking high-end versions of their favorite tailgate food, cocktails shaken by Sam's own Jon Parsons & the legendary Josh Childs, a live auction, entertainment and much more. The theme of the event resonates Lovin’s mission: combatting hunger is a team sport! Currently 1 in 5 Bostonians are classified as food insecure, meaning they don't know where their next meal will come from. Since founding Lovin' Spoonfuls, 501(c)(3) non-profit, in 2010, Ashley Stanley and her team have collected more than 150,000lbs of fresh, healthy food that would otherwise be thrown away, and distributed it at no cost to local soup kitchens, homeless shelters and crisis centers throughout the city. Last year’s ultimate tailgate party allowed Lovin’s team to put another truck on the road, doubling their ability to pick up and drop off rescued food, and this year aims to do the same! This year a team of 12 of Boston’s premiere chefs will once again join the party by cooking their own creative takes on their favorite tailgate food. Guests will be able to enjoy creative comfort food from Lovin’ Spoonfuls board members, Joanne Chang (Myers & Chang and Flour) and Jeremy Sewall (Lineage, Eastern Standard Kitchen and Island Creek Oyster Bar) as well as Karen Akunowicz (Myers & Chang), Asia Mei (Sam’s at Louis Boston), Douglas Rodriguez (Clio), Andy Husbands (Tremont 647) Jason Bond (Bondir), Colin Lynch (Menton, No. 9 Park), Louis DiBiccari (Storyville and Chef Louie Night) and Mary Dumont (Harvest). Jamie Bissonnette (Coppa and Toro) and Will Gilson (Puritan & Co.) will be on the sidelines cooking up a pig roast. Boston Red Sox Executive Chef and former contestant on the Bravo’s “Around the World in 80 Plates,” Chef Steve “Nookie” Postal will be hosting a tailgate to the tailgate during VIP hour from 6pm-7pm which includes lobster rolls and champagne. Popular Boston mixologists, Jon Parsons (bar manager at Sam's) and Josh Childs (Silvertone, Parlor Sports and Trina's Starlite Lounge) will be throwing down and shaking up specialty drinks all evening. The event, sponsored by BostonChefs.com and emceed by Jenny Johnson of NECN’s “TV Diner,” will feature a live auction, lawn games hosted on the beautiful lawn along the Boston waterfront, a photo booth stocked with everyone’s favorite football memorabilia, and complimentary beer from Peak Organic Brewery, as well as wine & champagne from sponsor M.S. Walker. Keeping the spirit alive will be local legend, DJ TJ Connelly, best known for his work for the Boston Red Sox and the legendary 101.7 WFNX. He's also behind a Boston favorite, The People’s Karaoke. General admission tickets are $100. A limited number of VIP tickets for will be sold for $250 which allows guests entry into the VIP hour from 6pm-7pm and includes a special lobster roll and champagne tasting from Chef Steve “Nookie” Postal, meet & greet with the chefs, and a VIP gift bag full of swag from some of Lovin’s local supporters! All of the proceeds from the event go to Lovin’ Spoonfuls. 6) Legal Sea Foods is kicking off their fourth annual Oyster Festival with the “Shellfish Shindig” event hosted at the Charles Square location’s outdoor terrace. Guests will enjoy a variety of freshly shucked oysters for $1 each. Wash it down with Legal Sea Foods’ signature Oyster Festival cocktail, the Deadrise, featuring Rain Organic vodka, muddled cucumber, lime and grapefruit bitters that pairs beautifully with bivalves by the bushel. More Info: This event is open to the public; no reservations are required. In case of rain, the “Shellfish Shindig” will be held in the atrium of the restaurant. I have often said that the best chefs can get me to enjoy dishes that I usually dislike. Meatloaf is one of those dishes that has never thrilled me. Too many times I have found meatloaf to be too dry, too much breading, too bland, etc. But Chef-owner Joe Cassinelli has recently changed my mind with his Yucatan Meatloaf at The Painted Burro, his new Mexican restaurant in Davis Square, Somerville. Chef Cassinelli is also the owner of Pizzeria Posto, which is located in Davis Square too. I have long been a big fan of Posto so was excited to check out The Painted Burro. I recently had the opportunity, as a media guest, to visit the Burro on two occasions, on consecutive Thursday evenings, in part to assess the impact of their new soundproofing efforts. The restaurant, which occupies the spot of the former Gargoyles, was very busy on both nights, and on the first Thursday, there was even a one hour wait for seating at 8pm. It is a medium-sized restaurant, with a long bar at the front. It is a very open room, much more than it once had been as Gargoyles. On that first Thursday, it was quite loud, and seemed as if it contained twice the amount of people as it actually did. You often expect a festive Mexican restaurant and bar to be noisy, but this seemed overboard. Chef Cassinelli understood this issue and took a series of measures to mute the noise. He consulted New England Soundproofing and initially installed sound paneling under the chairs and tables, though that ended up not helping much. After further consultation, they installed sound proofing panels, which were expensive, on the ceiling and walls. Some of those panels will eventually be painted with murals by local artist Raul Gonzalez, who also painted an existing mural at the Burro. So, on the second Thursday, after this additional sound proofing was completed, there was a noticeable difference in the noise level. It will never be a quiet restaurant, but the noise is at a much more manageable level, enabling conversation with the guests at your table. The panels are very unobtrusive, and blend well into the decor, and will blend even more once murals are painted on some of them. One of the strengths of the Burro is their drinks program, to which they have obviously invested plenty of effort. Tequila and Mezcal occupy a significant role. They stock approximately 12 Mezcals and 100 Tequilas, including 30+ Blanco, 30+ Reposado, 20+ Anejo and 15 Seleccion Especial tequilas. Each selection has 3 prices, the first for a shot, the second for a tasting and the third for its inclusion in the House Margarita. They also have 6 tasting flights, allowing you to easily compare similar Tequilas. Margaritas ($8-$10) includes flavor choices such as Hibiscus, Mango, Cucumber, and Strawberry while they have other intriguing cocktails ($7-$12), including white and red Sangria. Margaritas are served in a misshapen old-fashioned-type glass rather than the usual margarita glass. The Margarita de la Casa ($8) is made with Agavales Blanco, Combier and lime juice and had a very pleasant and balanced flavor. The Margarita Royale ($16) is made with Kah Organic Blanco, Damiana liquer (which allegedly has an aphrodisiacal effect) and lime juice. It had a more unique flavor, a bit more herbal, and was once again a balanced and tasty cocktail. The El Jefe ($10) is a nice Mezcal cocktail made with orange bitters and homemade grenadine. This had a bit of a smoky flavor with citrus notes and hints of sweetness. The Burro Colada ($11) is a frozen cocktail made with Ron Virgin, Cream of Coconut and Cayenne Pineapple Juice. The addition of the cayenne elevated this cocktail, providing a delicious spicy kick on the finish, balancing out the initial chill. A great variation on the traditional pina colada. The bar also stocks over 20 beers ($5-$15), about half of them hailing from Mexico, available in Draft, Tin, Ballenas and Bottles. Five of their beers are from New England, including the Slumbrew Happy Sol made by the Somerville Brewing Company. The wine list is small, with only 11 choices, all available by the glass or bottle, and most reasonably priced from $24-$32 per bottle. You'll find an Argentina Malbec, a Spanish Tempranillo, California Pinot Noir and two wines from Mexico. They carry the 2009 L.A. Cetto Chenin Blanc ($24) and 2006 L.A. Cetto Private Reserve Nebbiolo ($52). I did not try either of these wines but am going to do so on my next visit. It is very rare to find a Mexican wine locally so it is very cool to know the Burro carries two. The food menu is basically divided into Appetizers (about 12 choices for $5-$14), Tacos (about 7 choices for $5-$8), Entrees (about 9 choices for $11-$21), and Sides (5 choices for $3-$5). Some of the tacos seem a bit pricier than found at other Mexican restaurants, especially considering how reasonably priced are the Entrees. For example, the Short Rib Barbacoa taco is $8 and if you ordered three, which would likely constitute an entree, it would cost $24, which would make it the most expensive Entree on the menu. In their favor, the tacos are high quality, many using seasonal ingredients, and I will discuss their taste more later in this post. As you peruse the menu, you will be brought chips and salsa. The salsa is mild but with a rich tomato and herb flavor. If you prefer a spicier salsa, I suspect they would find something to please you. I tasted a number of different Appetizers and in general they were tasty and well made. The Empanadas ($5) are made with local goat meat from Falter Farm in Avon. In addition, they contain tres quesos, and poblano rojas, accompanied by a roasted red pepper & tomato-chipotle salsa. An excellent, crisp empanada with a moist, flavorful interior and a slightly spicy salsa. Don't fear the goat! The Ceviche Del Mar ($14) is a combination of three ceviches, including Maine Redfish, Shrimp & Snapper. Each ceviche is prepared differently, with items like avocado salsa, lime, scallions, pickled red grapes, and radish, and is accompanied with tortilla fritas. Fresh citrus flavors, creamy avocado and plenty of tender seafood. A nice and refreshing choice. Another refreshing choice is the "Chingon" Cucumbers ($5), which are small pieces of cucumber with watermelon radish, pickled grapes, cilantro, lemon, chile, and sea salt. The cucumbers pieces have a nice crispness to them, and a mild, citrus taste. They probably could use a bit more chile, to add more heat, though not everyone might like them spicier. One of my favorite Appetizers was the Fundido with spicy house made Chorizo ($12), which you can also get with just Cheese & Scallions ($9) or Roasted Veggies ($11). Made with Oaxaca, Chihuahua and Manchego cheeses, the fundido comes with soft corn tortillas so you can make your own cheese and chorizo tacos. Great blend of flavors from all those types of melted cheese combine with plenty of meaty chorizo and a light spicy kick. You'll be fighting over the last bits of melted cheese & chorizo in the plate. The "Cholo" Corn Cob ($7), with roasted garlic mayo, cotija cheese, and cayenne, is sure to please as well. Sweet corn, a deliciously creamy coating, and a bit of spice make this an addictive dish. The Crispy Pork Flautas ($7), made from carnitas, tres quesos, and tomatillo, come with a serrano crema. Crunchy, with tender pork and plenty of cheese. An easy snack to devour with a margarita. On the first of the two evenings, I decided to order three tacos for my entree, including the Chorizo de la Casa ($5), Pork Cochinita ($6) and Short Rib Barbacoa ($8). The Chorizo would make for a nice breakfast taco, with its farm egg soleado and pappas. The Pork comes with a pineapple and serrano salsa with a spicy citrus achiote and the flavors blended very well. My favorite of the three was the Short Rib, with its red wine-Mexican cola mole, tres quesos, corn & serrano salsa, and cotija cheese. An amazing melange of flavors and textures and I could have easily eaten several more of these. Highly recommended, albeit a bit pricey. Overall, the tacos were all delicious, well made with quality ingredients. I also had a Side of Oaxaca Cheese Grits ($4), which are made with white corn meal, milk, Oaxaca cheese, roasted poblanos, sauteed white onion, oregano, and Cotija cheese. Quite an interesting and delicious take on grits. Creamy, with enticing cheese flavors, hints of spice and a little crunch from the onions. Cotija cheese is one of my favorite cheeses and I think placing it atop any dish of grits would be a great idea. These are the Enchiladas ($15-$18), a large plate of 3 corn tortillas stuffed with tres quesos and smothered with house moles and salsas. You can order the Del Paraiso (veggies), Achiote Chicken, or Roasted Pork Cochinata. My dining companion who ordered these was very impressed. Another companion ordered the Street Cart Chicken ($17), a 1/2 Giannone chicken with an achiote-citrus marinade, kale, fried plantain, and tamarind butter. I tasted some of this chicken and it was amazing, with juicy and flavorful meat, and a compelling marinade. It was also quite a large dish, which seems a commonality of the entrees, good-sized portions that also are very reasonably priced. You won't leave hungry. And the pièce de résistance was the Yucatan Meatloaf ($16), two fried eggs "soleado" on top of spicy ground sirloin loaf stuffed with chorizo, ham, chicharron, green olives and toasted almonds. It is served open faced on thick toast with a red mole sauce. I had heard others rave about this dish, but still I usually would not choose to order meatloaf at a restaurant. This time was different though as I chose to take a chance on Chef Cassinelli's creation. And I have absolutely no regrets. Another good-sized dish, this concoction would convert any meatloaf hater. It was moist, bursting with interesting flavors, a nice saltiness from the pork, and the almonds added a delightful texture and nuttiness. The mole was very spicy and enhanced the allure of this dish. I would love to see this mole, with its spiciness and umami, used in other dishes as well. I was thoroughly impressed with this meatloaf and highly recommend it. There are several options for dessert, including homemade popsicles and ice creams (in unique flavors), a Chocolate Espuma and a Tres Leches Cake. The plantain popsicle tasted exactly like a plantain and it worked as a dessert, without being too sweet. Someone else had the Espuma and it looked great, and he seemed to enjoy it immensely. I had the Tres Leches and found it too heavy for my preferences though the house "fluff" atop the cake was amazing. It tasted fresh, and not like some artificial topping. I also tried the Kalani Coconut, a dessert tequila, which is thick and viscous, but not overly sweet and with a strong coconut flavor over the tequila taste. It might be a nice addition over ice cream. Service was excellent and overall, Chef Cassinelli has created another winning restaurant. An excellent and exciting drinks program, a creative and compelling food menu, and plenty of good-sized and reasonably priced entrees. And a meatloaf that even haters would enjoy. They also serve Brunch, which I will be checking out over the weekend, and I'll report back on that as well. Addendum (9/20): I have since learned that Executive Chef Danny Bua, Jr. is actually the mastermind behind the superb Yucatan Meatloaf. Chef Bua made a trip to the Yucatan region and was inspired by a similar dish sold by local street vendors. So when he returned home, he created his own version and certainly has created a winner. For 40 years, The New York Times has been running a weekly wine column and the current Chief Wine Critic is Eric Asimov. During those 40 years, the newspaper has accumulated quite a voluminous collection of wine writing, ranging across an incredibly broad section of topics. For example, in July 2010, Asimov even wrote a column on Sake. You now have the opportunity to read a collection of some of these NY Times wine articles in a new book which is likely to be a popular gift choice for wine lovers during the upcoming holiday season. 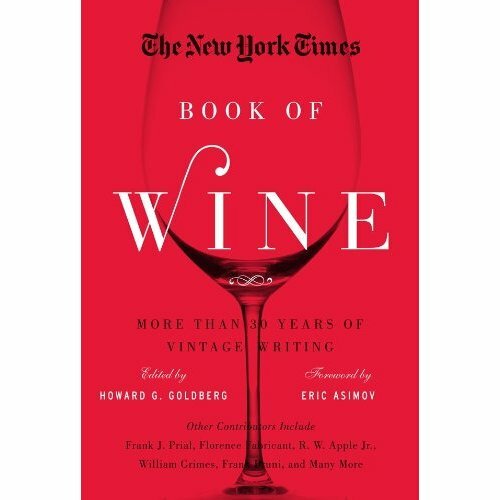 I recently received a review copy of The New York Times Book of Wine: More Than 30 Years of Vintage Writing, edited by Howard G. Goldberg (Sterling Epicure, August 2012, $24.95). It is a 574 page, hardcover book with a selection of over 125 articles, written by about 28 different authors. Eric Asimov and Frank J. Prial have contributed the most amount of articles to the book. Quite a hefty tome at a very reasonable price. Howard Goldberg was an editor at the New York Times from 1970-2004, and also wrote about wine for them starting in the mid-1980s. He currently writes the Long Island Vines column, which discusses and reviews the wines of Long Island, New York. He has four articles of his own in this book. The book is organized into 15 chapters, by subject matter, though the content of each chapter varies from a single article to as many as 27. The two largest chapters include Chapter 8-You're Feeling Continental? This Is For You (European wines) and Chapter 4-What You Drink With What You Eat (food/wine pairing advice with recipes). Articles about French wines occupy about half of Chapter 8, but you will also find coverage of Italy, Spain, Germany, Hungary and more. I was especially pleased to see so much coverage given to food and wine pairings, which I think can help show people that food and wine should be considered a natural accompaniment. Chapter 7-Made In the USA is about half the size of Chapter 8 and nearly every article deals with California. Fortunately, you will find information on other US wines, such as Washington and Oregon, in different chapters. There is plenty of diversity in general within the book, with chapters on wine writing, sweet wines, sparkling wine, restaurants and much more. It is not a collection of boring tasting notes but rather many thoughtful pieces on a great range of wine topics such as Spanish Sherry, the Japanese Koshu grape, serving alcohol to your children, Txakolina, Madeira, and natural winemaking. A plethora of compelling articles. This is a book to slowly savor, to sample in any order you please. You can start by reading the articles about the topics which most interest you. There is a good index which will help you determine which articles pertain to the subjects you prefer. Over time though, I recommend you branch out, to try new topics and see what you think. You might find a new favorite. Wine lovers should be adventurous and that is how to approach this book, with an open mind, willing to explore new territory. You will find plenty of opinions in these articles, but you won't find much pretension. These are articles that everyone can enjoy, from those new to wine to the knowledgeable wine geeks. These articles will educate and entertain, and may even getting you thinking about wine in different ways. I thoroughly enjoyed reading this book and highly recommend it to anyone who enjoys wine. At a local wine store, I was perusing their new Sake selections when I noticed something odd about one of the bottles. It was a little murky and it shouldn't have been. It wasn't nigori, "cloudy sake." There was another bottle of that same Sake and it looked perfectly fine. So I looked at both bottles more closely and then realized the problem. In some respects, you could say that one of those bottles was past its "expiration date." In general, Sake is meant to be consumed within one year of its release. After that one year passes, most Sake will tend to degrade with time. There are certainly exceptions but it is a good general rule to understand. Sake lacks a vintage date so how do you know whether your Sake is too old? Well, you often will find a date listed on a Sake label and it is important. That date is the shipping date, when the bottled Sake was released from the brewery. It is not the date when the Sake was produced. After production, Sake is usually stored for six to eighteen months before it is released. The date on the label is when the Sake, after its storage time, was released. 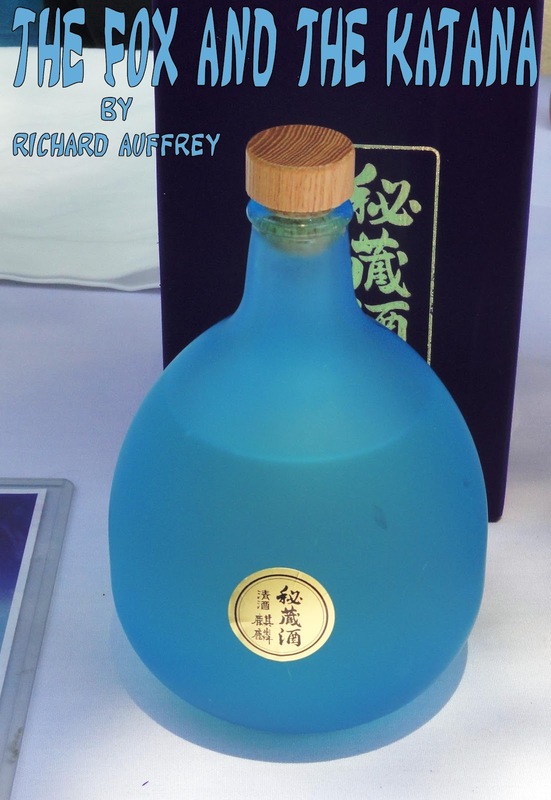 For example, a Sake with a shipping date of September 2011 may have been produced in 2010. Now, one of the Sake bottles at the wine store had a shipping date of 2011 but the other, the murky one, had a shipping date of 2008, which makes it very much out of date. The distributor should never have sent that Sake to the wine shop. It is their responsibility to understand about Sake shipping dates and make sure that they do not sell Sake past its prime. And if there was one out of date Sake in their warehouse, then I suspect they have others too. There is an additional complication. Unfortunately, the date is not always easy to read on Sake labels because they don't always use the common U.S. calendar format. Sometimes the year is listed according to the Japanese calendar. In Japan, the current era name is Heisei and began in 1989 when the Emperor ascended the throne. Each subsequent year is numbered from his ascension to the throne, though it is not a straight correlation to our calendar.That makes it even more important that the distributor ensure they do not sell old Sake. Sake is not the only alcohol with this timing issue. Fino and Manzanilla Sherry are also often intended to be drank as young as possible, and generally you don't want a bottle that is more than one year old. The bottles commonly have a release date on their label and those are easy to read. But you will find distributors selling Sherry past its prime. Distributors, pay attention to the dates of the Sake & Sherry you are selling! 1) LONGWOOD Events will host a “time travel” dinner at their modern vintage venue, Alden Castle. Inspired by the upcoming blockbuster, Looper (starring Joseph Gordon-Levitt and Bruce Willis), the four-course pre fixe dinner will send guests traveling through time in more ways than one. Not only will each course feature dueling takes on dishes popular both today and 30 years ago, but the meal will also be served in abstract order throughout the castle. This is the first ever event at Alden Castle open to the public. The event will be held on Monday, September 24, at 6pm. Throughout the evening, guests will enjoy music from the Looper soundtrack and view sneak peeks from the film as they travel throughout the castle on a tasting journey. Additionally, all attendees will receive a complimentary ticket to the advanced Boston screening of Looper taking place on Thursday, September 27 at the Boston Common Theatre, as well as other Looper promotional materials. Cost: Tickets to the event are $50 and include: four-course dinner, beer and wine, and a movie ticket to the pre-screening of Looper at the Boston Common Theatre. Tickets: Tickets are limited and required for entry. Please visit http://aldenlooper.eventbrite.com to purchase a ticket. 2) Every September, when the moon is at its fullest and roundest, families throughout China gather to celebrate the mid-autumn harvest with Moon Festival, one of the country’s three most important holidays. Red, which represents good luck, joy and happiness in China, is prevalent throughout the celebration. Bringing a little of China stateside, Foumami Asian Sandwich Bar celebrates Moon Festival from September 24-28 with a sandwich special that prominently features the color red and a range of boba teas, all tying back to traditions associated with the holiday. Authentic Chinese Mooncakes (“yuè bĭng” in Chinese), a chewy pastry with fillings like black bean, jujube date and other seeds and nuts, are also available throughout the week. Moon Festival is marked by barbecues with family and friends. This pulled pork sandwich offers a Chinese twist on a barbecue classic with fork-tender meat rubbed and braised in a house-made red spicy Chinese barbecue sauce, topped with shredded cabbage, scallions and drizzled with house-made spicy jalapeno hot sauce. At Moon Festival celebrations throughout the US and Asia, vendors sell bubble tea to thirsty passersby. Foumami offers a range of freshly brewed boba teas in flavors like avocado, taro, strawberry, watermelon, honeydew, mango and mocha. 3) This fall the Beacon Hill Hotel & Bistro (BHHB) is making the best of it with its new Monday Market Specials, a weekly special dish prepared with farm fresh ingredients from the Central Square Farmers’ Market hand-selected by Executive Chef Josh Lewin himself. Every Monday, Executive Chef Josh Lewin arrives at his first stop of the day, the Central Square Farmers' Market in Cambridge, where he picks up the freshest dish-inspiring produce he can find. After visiting the local farm stands, Josh heads back to BHHB, where he uses the produce to create new menu items that will cure any case of the Mondays. Recent dishes with the seasonal findings include, Poached Pete & Jen's Egg using Peagreens, New Potato, Lamb's Bacon and Elderflower, Serrano Ham & Three Melon Salad with Purslane, Blueberries and Elderflower, as well as Olive Oil Poached Sunflower "Heart" with New Potato, Purslane, Sunflower Seed Aioli. These dishes are offered at dinner service as specials beginning in September. But, just like the BHHB at the farmer's markets, the early bird catches the worm because they are only available until the ingredients run out. Menu and price will always be influx based on availability and local sourcing. Reservations are recommended by calling the Beacon Hill Bistro at 617-723-7575. 4) Belly, a new wine bar from the owners of The Blue Room and Central Bottle, has now opened in Kendall Square. Located directly next to sibling restaurant The Blue Room, Belly draws inspiration from owners Nick Zappia and Liz Vilardi’s travels to the Alto Adige region of Italy. It is in this region that they toured a wine estate and discovered a series of contemporary spaces formed within the structures of an ancient hamlet. Belly is evocative of that experience – a crisp, modern space inserted into an historical context. In this case, a 19th century American mill building. Belly’s wine program is a bit of a personal extension of Liz; her sense of humor, feelings about how wine does not need to intimidate or be about social status, and most importantly putting forth wines that are full of love and expression. The wine list of both by-the-glass and bottle offerings encompasses off-beat, geeky and classic selections broken into playful categories like oysters I love you, rocks in your mouth, a wee bit sparkling and size matters (half bottle, magnum and jeroboam offerings). The Blue Room’s Executive Chef Robert Grant heads up the kitchen at Belly, where he lets his love of all things butchery shine. Offerings include charcuterie, salumi, oysters, snacks of crudo, marrow bones and steak tartare. For those who would prefer larger portions, the Rhinestone Cowboy, a 24-oz. house dry-aged, grass-fed, wood grilled rib eye for two is available. Groups of 4-14 people can plan ahead and reserve an Arm + A Leg, a family style option which takes whole animal cookery to another level with four courses of carnivorous delight featuring various parts of a whole animal with seasonal accompaniments. Cheese is also prominently featured at Belly with a dedicated section of the menu featuring ten cheeses curated weekly by Central Bottle’s Cheesemonger Stephanie Santos. The cheese categories include fresh, butter, earth, salt, funk, whole, home grown, the blues and Parmigiano-Reggiano – all are served with house-made confiture. Many of us would love to be able to easily purchase fresh baked bread, fresh local produce, artisan cheese, meats, seafood, fresh pasta, wine, and homemade desserts. We might be able to do so by spending a few hours wandering through the North End, stopping at numerous stores to purchase each individual item. But it would be far more convenient, and quicker, if all of those items could be found in the same location. For example, consider a place like Eataly in New York City. We can't just pop down to Eataly every week but we will soon have a much closer option, the Tuscan Market in Salem, New Hampshire. This market will open in October and is located next to the Tuscan Kitchen restaurant. This past Sunday, I attended a media pre-opening event at the Tuscan Market and I see great potential there. The Tuscan Market and Tuscan Kitchen are owned by Joe Faro, who has over 25 years in the food industry, and whose parents had owned a bakery in Haverhill. In college, Joe started his own small business, Joseph's Gourmet Pasta, which grew into a nationwide business and he eventually was able to sell it in 2006 to Nestle for over $60 million. Joe, who lives in Salem, decided to start an Italian restaurant and in November 2010, the Tuscan Kitchen opened its doors. Much of the foods are created on site and that which is not is usually imported from Italy. Joe apparently has plenty of energy as he is now preparing to open the Tuscan Market, a large artisanal market, which will be a one-stop shopping spot for Italian food and ingredients, as well as other quality items. Many of the foods will be prepared on premises while others will be imported from Italy. In addition, there will be a 65-seat café where you can grab a bite, from pizza to pasta. The market was not complete when we checked it out, but there was enough there to gain a proper sense of its potential. Plus, for the first hour of our tour, we were able to sample a variety of items they will sell, including breads, cheeses, meats, wine, pizza, flatbreads and more. I spoke to Joe Comforti, the Wine Director of Tuscan Kitchen, about their plans for wine at the Market. They will be carrying about 275 different wines, 85% which will be from Italy and the vast majority will also be red wines. Their specialty will be the wines of Tuscany, from Chianti to Brunello. They will be installing a cooler to hold their white wines so you can pick up a chilled white. Wine tastings will be held weekly, and they will give their guests real wine glasses and not some tiny plastic cup. Wine classes will also be held there in the future. The breads! All of the breads are made on premises and they will be making about 12 different types. We got to taste several of the breads and they were amazing, especially the garlic bread. Great crusty exterior with a fresh, soft center and big cloves of garlic. Dip your bread in some real olive oil and you will be very happy. They will carry plenty of fresh produce, lots of local fruits and vegetables. They obtain some of their produce from Smolak Farms in Andover but the big secret is that about half of their produce comes from a farm owned by Joe's father! They will also be constructing a greenhouse on their roof so they can grow their own. They will carry a wide variety of cheeses, plenty from Italy but cheeses from a number of other countries as well, such as France and Spain. There are window cases in the front of the store where they keep large rounds of Parmigiano Reggiano. We sampled a number of cheeses, from the soft and compelling Cruculo to the umami-rich Parmigiano. Besides imported sausages, hams, pancetta and more, they will be making some of their own charcuterie. Over the years, Joe Faro has established many close connections to purveyors and thus he is able to buy many of his meats and seafoods directly, rather than go through third parties. They butcher their own meats, and much of their meat is Prime, with a small proportion being Choice. It is not organic or grass fed though they will dry age some of their meat on premises in special glass case above their meat counter. Their seafood, which is all supposed to be sustainable, usually is bought directly off the boats in Boston. Joe's prior connections allows him to be able to obtain very fresh, high quality seafood. They produce numerous fresh pastas, from fusilli to ravioli, and may also offer some gluten free varieties. You will find a variety of imported pre-packaged foods, including olive oils, balsamic, cookies, crackers, pasta, and much more. You will be able to purchase plenty of prepared foods, including pizzas, paninis, pastas and sauces, and plenty more. The pizza was more of a thin crust, with a tasty pizza sauce and lots of gooey cheese. This is the type of pizza I very much enjoy. Within the Market is a cafe where you can sit and have a bite, or just a coffee or espresso. Besides the tables and chairs, there are some comfy leather chairs in one corner too. While eating, you can watch one of the flat screen televisions. During warm weather, they will also have an outside patio. At the cafe, they have a homemade gelato machine imported from Italy (pictured above) and they will about 24 different flavors of gelato. I tasted a few different flavors, including their caramel and chocolate, and they were amazing, bursting with creamy flavors. Other people who tasted some of the other flavors were equally as impressed. In the future, Corporate Executive Chef Edward Payne will also lead cooking classes here at their Scuola Culinaria. The Tuscan Market will be open seven days a week; Monday to Thursday 7am-7pm, Friday to Saturday 7am-9pm and Sunday 7am-5pm. During the first hour of our tour, there were plenty of foods to nibble on, such as the two dishes above. But you couldn't fill up too much as we were also being provided a sit-down meal, to showcase the foods that would be available in the market. The meal began with a dish of Smolak Farm's heirloom tomatoes, caramelized figs, house made burrata, local truffle honey, and purple basil. Great fresh ingredients, full of flavor and the creamy burrata was blissful. A simple but compelling dish, showing the power of fresh ingredients. The Cappellaci of roasted butternut squash and duck brasato with a simple sage sauce, shaved black summer truffle, and parmigianto reggiano was also impressive. Lots of creamy sweetness from the cappellaci filling, excellent and perfectly cooked pasta and just the right touch of spice. The truffle and parmigiano added an additional umami element to the dish and I could have easily devoured several more. The next course was a Cacciucco Di Pesce, an Italian Shellfish Stew, with grilled head on prawn, pan seared branzino, and mussels in a fennel shellfish brodo with grilled ciabatta. A large prawn and flaky branzino did well in the savory broth, which was also great for dipping the ciabatta. The final savory dish was the Tuscan Kitchen Osso Buco, a slow braised veak shank, crusted in fresh herb gremolata, with a vin cotto reduction and saffron risotto alla milanese. The shanks were large and meaty, very tender and very flavorful. They satisfied my inner carnivore. The risotto was okay, but it didn't impress me. There was a smorgasbord of desserts available to us after dinner. We check out the various gelatos, grab some cookies, get a freshly stuffed cannoli, have a piece of chocolate cream pie, apple pie, chocolate cake, fruit tarts and so much more. A sweets overload! The cookies, such as chocolate chip, were very good, with a crunch outside but a more soft and chewy interior. They certainly tasted like an excellent homemade cookie. I also enjoyed the silky chocolate cream pie. And I already mentioned the delicious gelatos. I think the concept behind the Tuscan Market is excellent, a one stop destination for great, fresh Italian food and wine. Based on the samples I tried, the foods should be delicious and there is certainly plenty of diversity. As it is in Salem, it is only a short drive from the Boston area, just up Route 93, which makes it very accessible. Tuscan Market is loaded with potential and I wish something similar existed in Boston. Once the market opens, I will return there and provide my readers an updated report. I am most curious as to the pricing, especially for the prepared foods. Rant: Restaurant Reviews Ignoring Drinks?